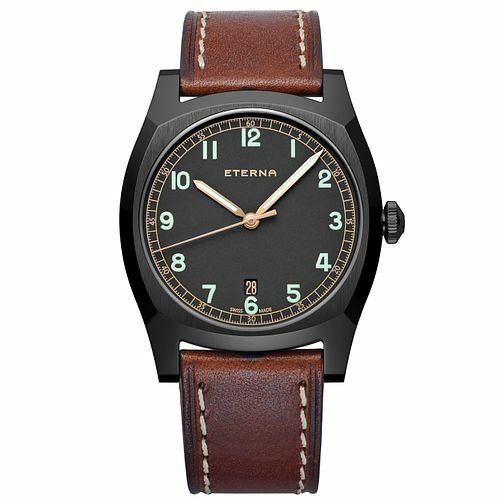 This Limited Edition Military model recreates the original WW2 design supplied to the Czech Air Force in 1939. Robust engineering are combined with high luminous Arabic legibility and all powered by an ETA 2824-2 movement. 50m water resistant, black PVD case with brown calf leather strap & pin buckle.